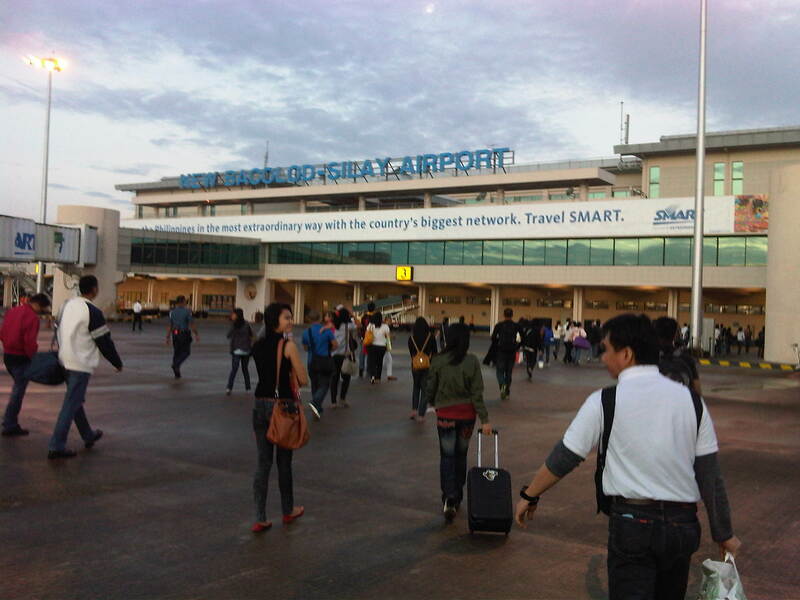 I was able to finally use the Bacolod/Silay Airport located in Silay City, Negros Occidental. 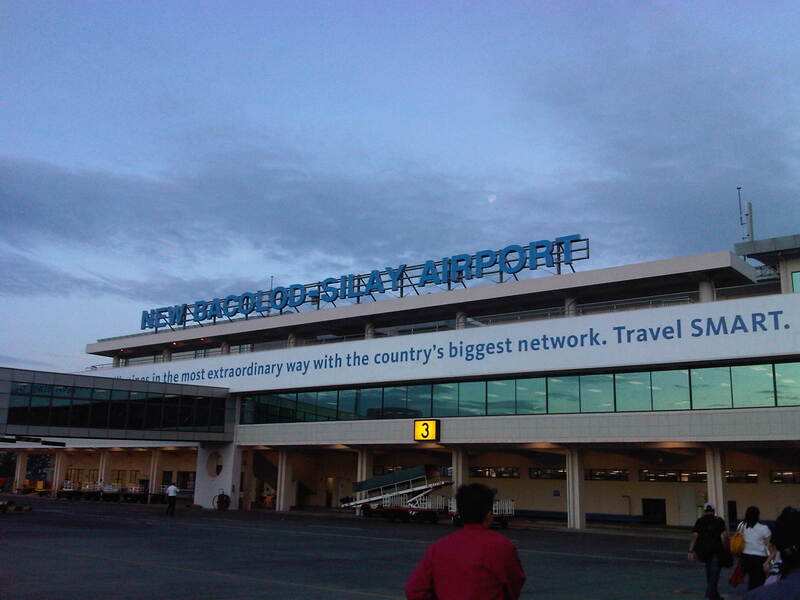 The last time I was in Bacolod was in 2000 and the airport was still located in Bacolod City and just a few minutes from City Hall and the Provincial Capitol site. The old airport had many issues pertaining to limitations of the old site. Primary among these was that the old airport could not be expanded to be able to handle more passengers and larger aircraft. One end of the old runway faces the sea while the other faced the city. At one time, a hotel was even constructed at the latter end and along the flight path of aircraft taking off or landing from that end. The old airport had to cease operation and there was a controversy as to the approval of the building construction against the land use regulations for a aerodrome. For airports, there are imaginary surfaces projecting from the runway that defines the area that should be clear from obstructions. 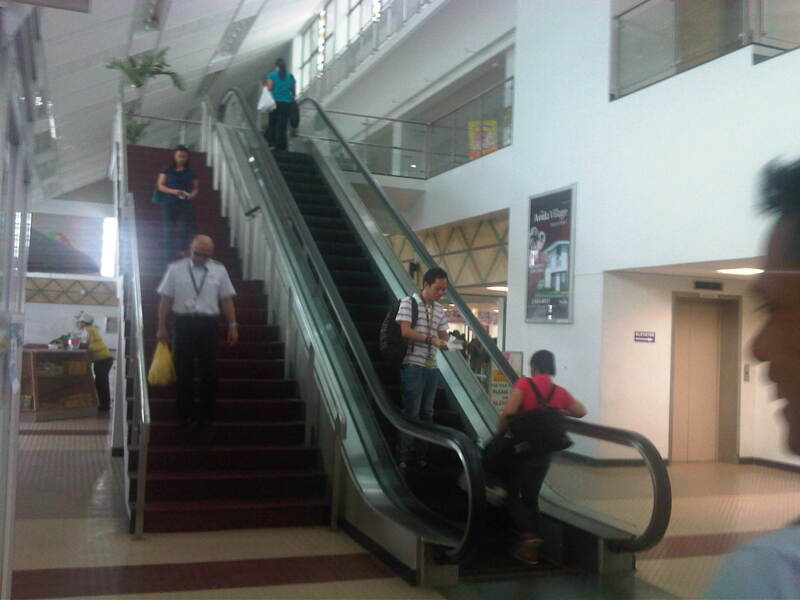 The hotel had to give way by removing several floors to comply with the airport requirements. Arriving at the airport, passengers deplaned via the front and rear doors of the aircraft and unto the tarmac where people moved towards the arrival area of the airport. 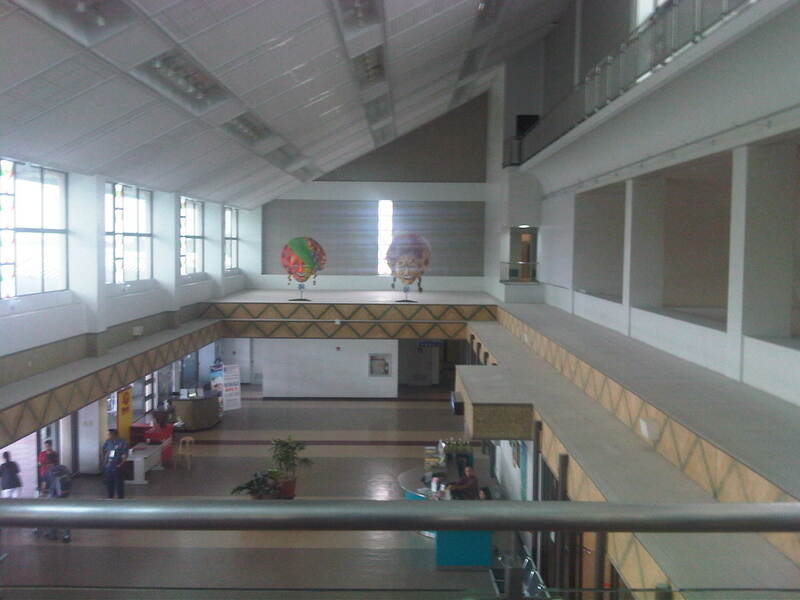 The arrival area was located at the ground level of the terminal. 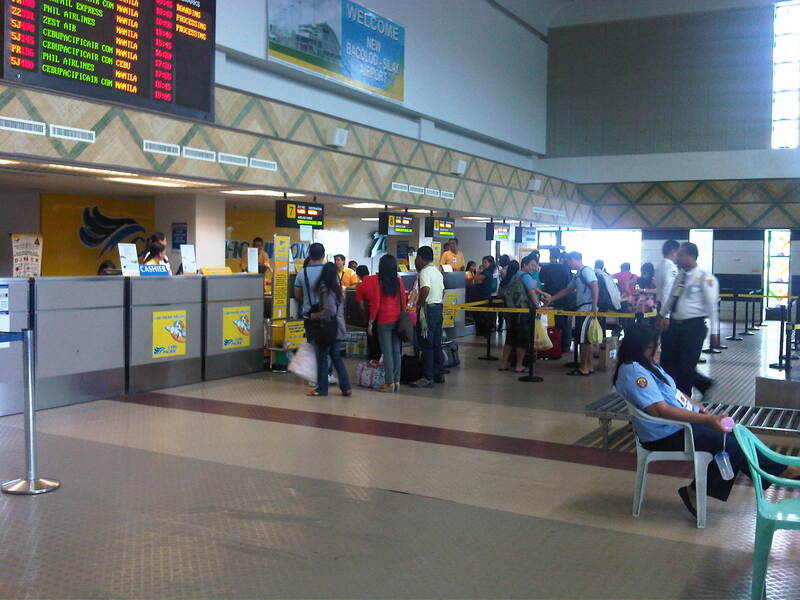 Baggage claim carousel at the arrival area of Bacolod-Silay Airport. 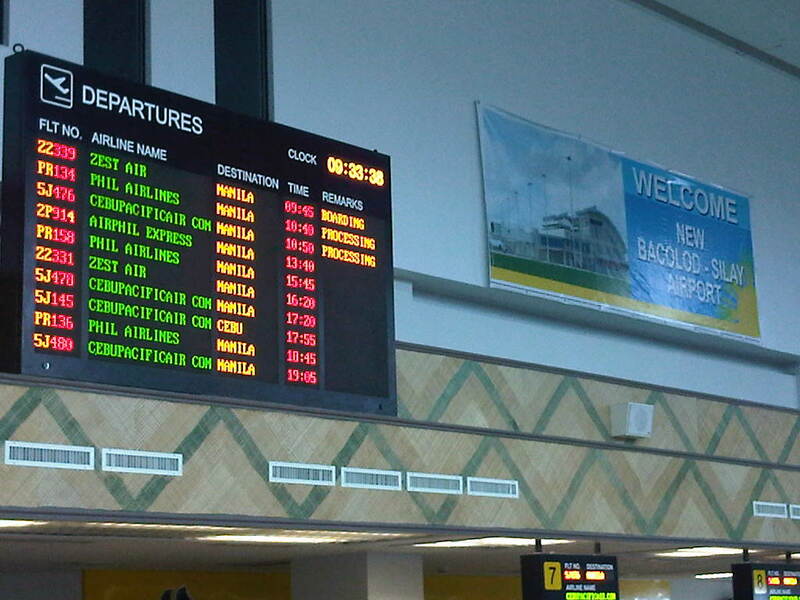 Flight departure information board above the check-in counters at the airport. 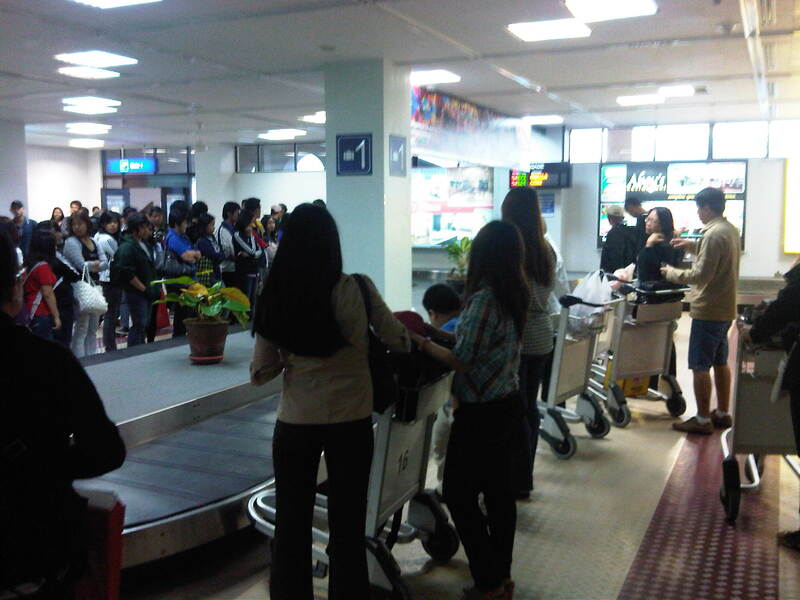 Queuing at the check-in counters at the airport – the security check may be seen to the right of the photo. Each airline serving the airport is assigned counter spaces. Shown in the photo are the counters for Cebu Pacific. 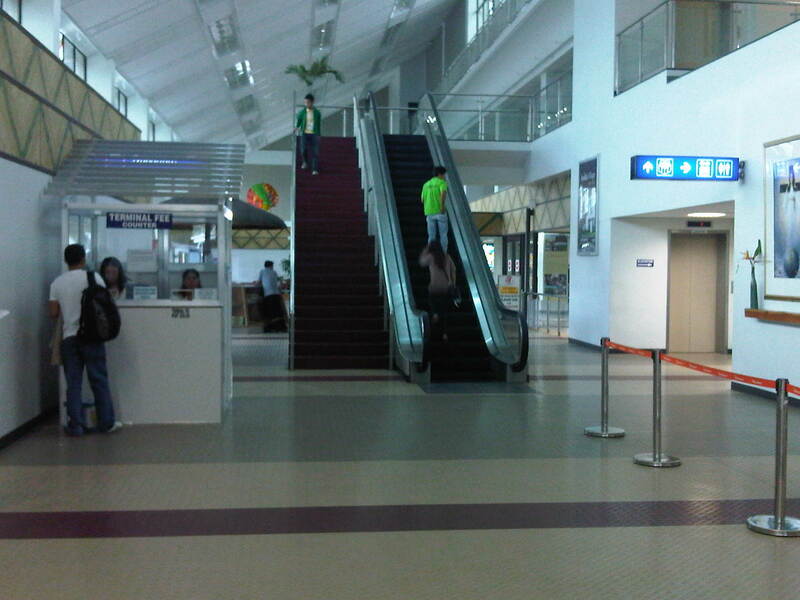 Escalator and stairs for access to the departure level. Persons with disabilities and others who may have difficulty using these facilities may use the elevator located to the right of the escalator (visible in the photo). 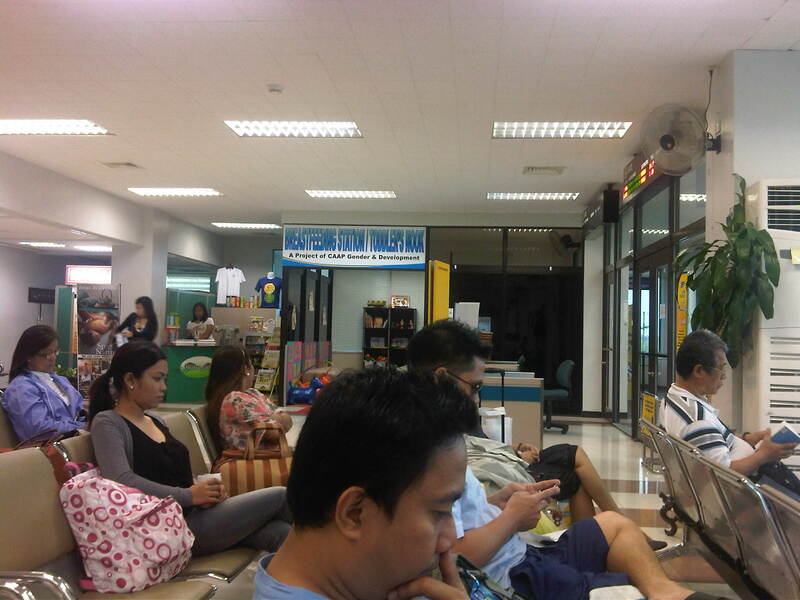 The airport’s departure lounge is significantly smaller than Iloilo’s. 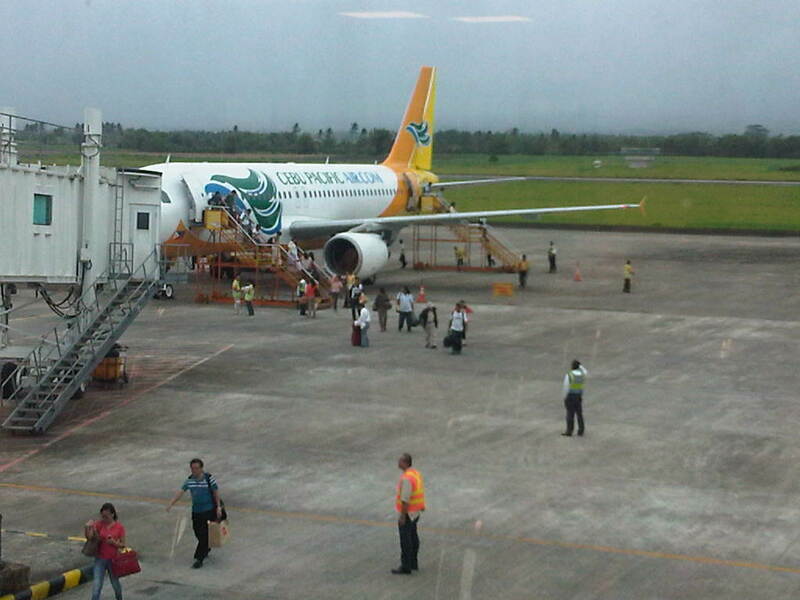 Note that there are only 2 gates for Bacolod-Silay compared to 3 for Iloilo. There are concessionaires inside the departure lounge but the better ones appear to be outside the lounge including one operated by Merci’s. There is a Bongbong’s pasalubong center at the entrance to the airport complex. 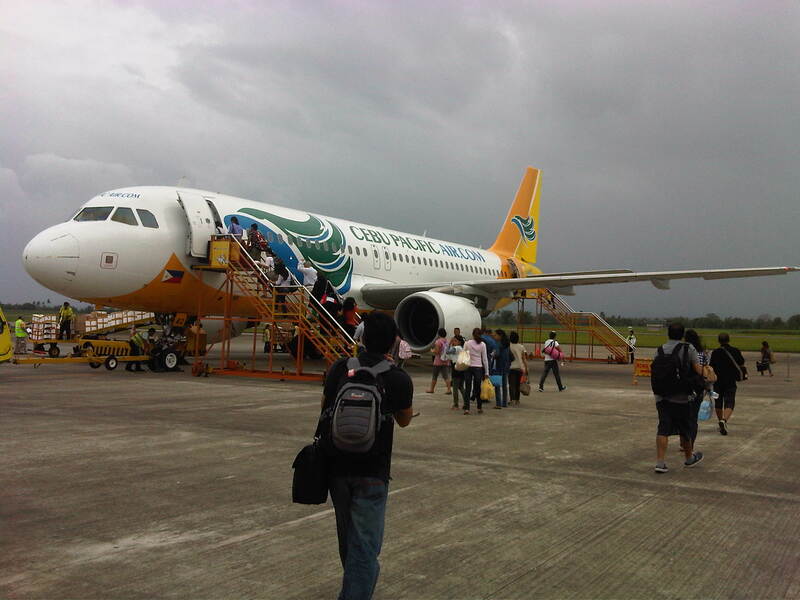 Cebu Pacific flights do not use the air bridge assigned to their gate (cost reduction?) and instead required passengers to board or alight from the aircraft using their fabricated stairs. This approach reduces the aircraft boarding and alighting times for the airline, thereby reducing delays to flights. 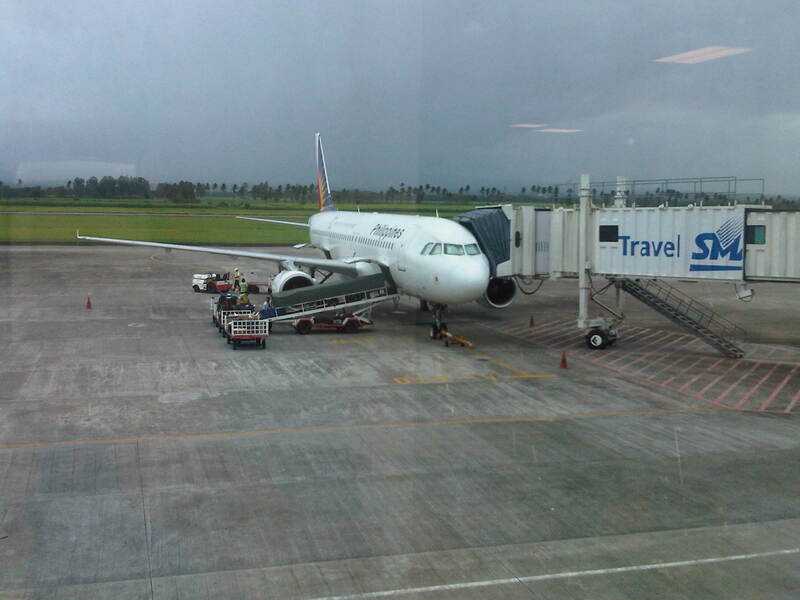 Meanwhile, Philippine Airlines utilizes the airbridge from the terminal gate as shown in the photo. 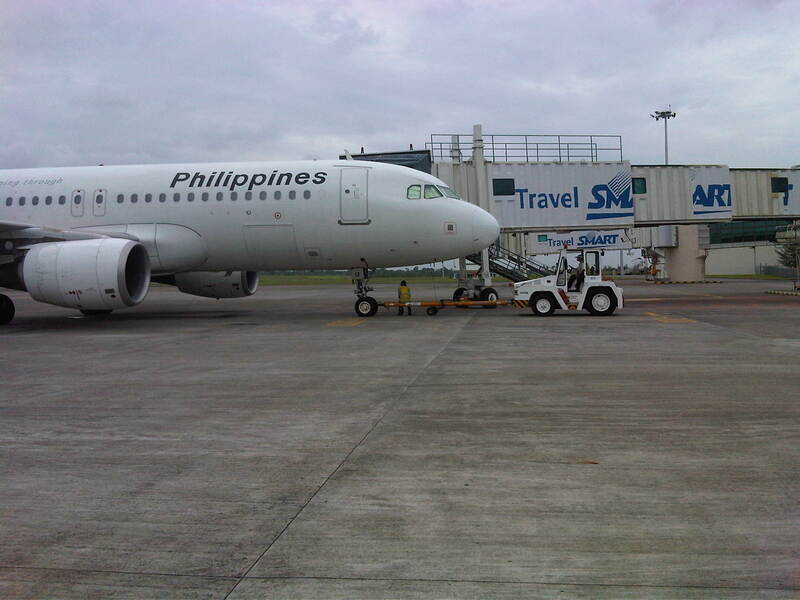 PAL A320 preparing to be towed away from the air bridge in preparation for taxiing towards the runway. Passengers walking at the tarmac to board the aircraft from two staircases at the front and rear doors. 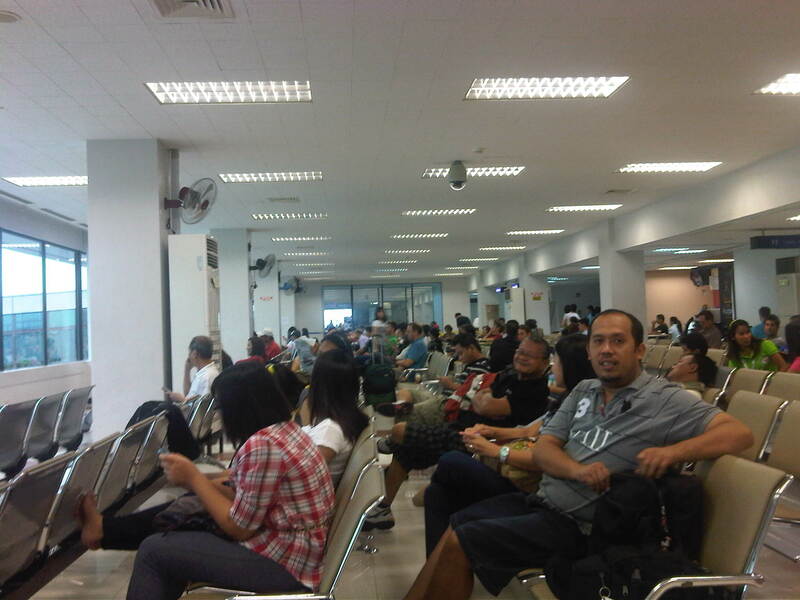 I still have reservations with regards to how Cebu Pacific and airports such as Bacolod/Silay are treating passengers. It seems inappropriate to inconvenience passengers considering the availability of facilities at the airport even if there are attempts to justify this practice via reasons of faster enplaning and deplaning (loading or unloading of passengers). Perhaps the cost considerations are really significant enough to justify such operations. A similar practice is being employed anyway at other airports that do not have the air bridges such as Changi’s (Singapore) modern Budget Terminal. By d0ctrine in Airports on February 16, 2012 .